OETA has announced the fifth annual 2017 PBS Digital Innovators Program for tech-savvy PreK-12 educators. Oklahoma teachers are encouraged to apply for the program, which recognizes educators from across the country—classroom changemakers who excel at using technology and digital media to spark excitement and drive learning in their classrooms. Beginning today through midnight, February 13, 2017, Oklahoma educators can apply to the PBS Digital Innovators program by submitting a 60- to180-second mini-presentation video to show how they’re using resources from PBS LearningMedia, the free media-on-demand service for classrooms from PBS and the WGBH Educational Foundation, along with digital technology and tools in their classroom to enhance their teaching and inspire of love of learning in their students. Entrants will also be asked to complete a profile and answer a short essay question. The PBS Digital Innovators online application is available at: www.pbs.org/education/digitalinnovators. In addition, OETA will support local teachers selected for the PBS Digital Innovators program by providing them with opportunities to facilitate instructional technology based professional development experiences for other Oklahoma teachers. 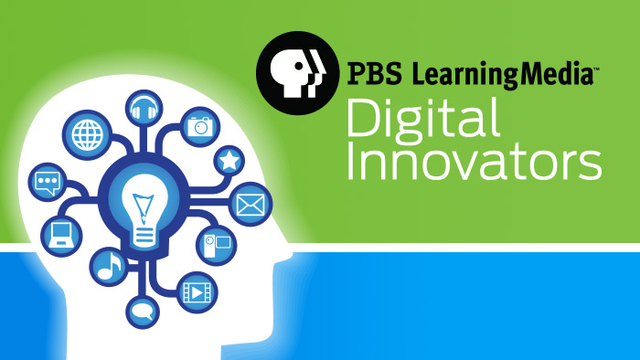 The 2017 PBS Digital Innovators will be announced on March 15, 2017. For more information on PBS LearningMedia, visit www.pbslearningmedia.org. OETA provides essential educational content and services that inform, inspire and connect Oklahomans to ideas and information that enrich our quality of life. We do this by consistently engaging Oklahomans with educational and public television programming, providing educational training and curriculum, outreach initiatives and online features that collectively encourage lifelong learning. Explore www.oeta.tv for more information about education curriculum and programs, local productions, digital television, community resources and show schedules. As America’s largest classroom, PBS offers digital content and services for teachers of children from pre-K through 12th grade that help bring classroom lessons to life. PBS LearningMedia, a partnership of PBS and WGBH Educational Foundation, is a free and paid media-on-demand service offering educators access to the best of public media and delivers research-based, classroom-ready digital learning experiences to engage students in exploring curriculum concepts that align with National and Common Core State Standards. Nationwide, more than 1.8 million teachers and users have registered access to more than 120,000 digital resources available through PBS LearningMedia. More information about PBS LearningMedia is available at www.pbslearningmedia.org or by following PBS LearningMedia on Twitter and Facebook.